THE TRIAL COURT VIOLATED PETITONER”S RIGHT AGAINST DOUBLE JEOPARDY BY ADJUDICATING HIM GUILTY AND SENTENCING HIM BOTH FOR AGGRAVATED ASSAULT WITH A FIREAEM AND THE UNDERLYING FELONY OF ATTEMPTED RUBBERY WITH A FIREARM. The jury found Petitioner guilty of attempted robbery with a firearm and aggravated assault with a firearm. concurrent guideline sentences of 12 years and 5 years imprisonment offense, with credit for time served. necessary to prove use of aggravated assault with a firearm. double jeopardy under a strict Blockburger analysis. Court in Blockburger v. United States, 284 U.S. 299 ( 1 9 3 2 ) . each requires proof of an element which the other does not. through the use of a firearm or deadly weapon. by the elements of use of a firearm in the aggravated assault. firearm (or carries a concealed firearm). my son’s case is identical to this one. He received 10 years. He will have completed the sentence for aggravated assault w/ a firearm this month, September, 2017. His lawyer was completely ineffective and basically did nothing for him. What can I do to get his second charge (same incident) dismissed??? 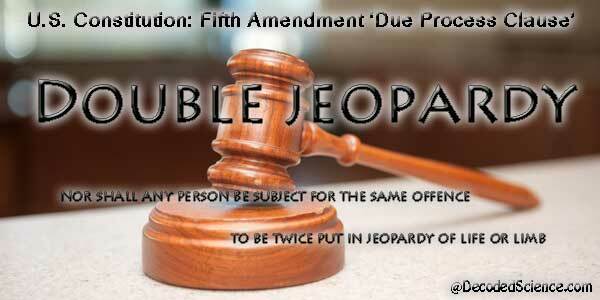 This, in my opinion, falls under the double jeopardy law.